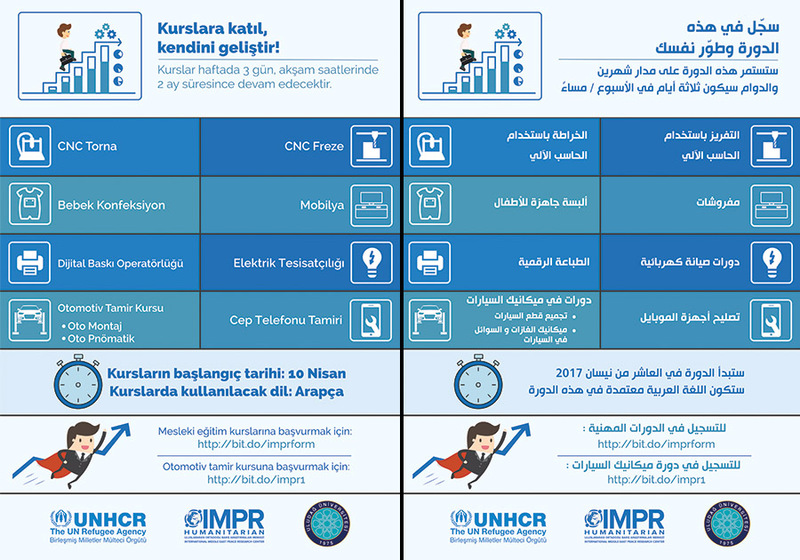 As IMPR Humanitarian, with the support of UNCHR and partnership of Uludağ University Continuing Education Center, we are going to start our vocational courses’ first classes on 10 April 2017. The vocational courses that will be opened was determined based on the requests from the beneficiaries and in the fields where there are more employment opportunities. At the end of the courses which will be given in the fields of; Cellular Phone-Tablet Repair, Digital Printing Operatorship, CNC Lathe, CNC Milling, Electric Wiring, Ready Made Baby Garments, Furniture, Auto Assembly Workmanship and Auto Pneumatic Workmanship, our prior aim is to enable employment in these areas and to strengthen the beneficiaries’ adaptation into the region and the business life. You can apply the courses via the link below. 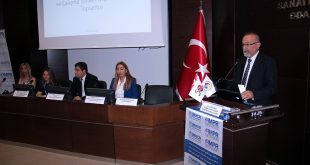 It is aimed to provide professional skills and employment opportunity on car repair to 300 participants in the courses to be organized on weekdays evening hours with the contributions of Ankara Auto Artisans Chamber in Ankara, Uludağ University in Bursa and Mersin Auto Repairers’ Chamber in Mersin. 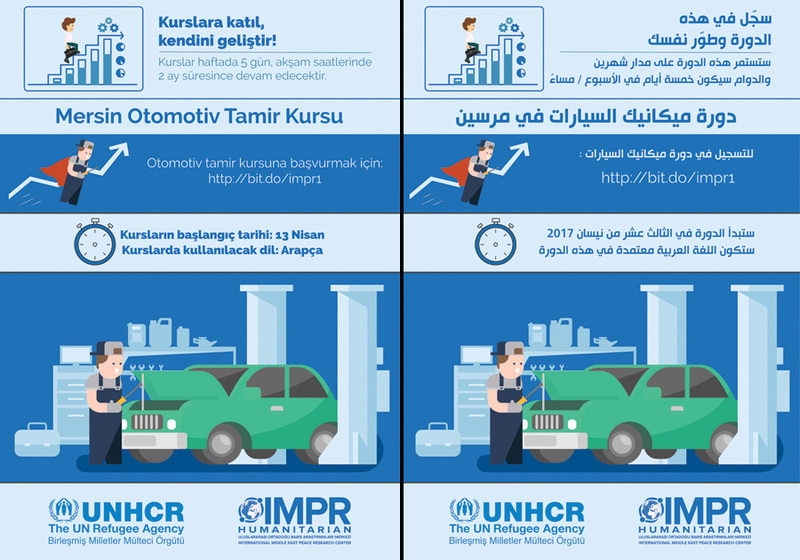 Theoretical and workshop training will be provided about auto mechanics, electricity, assembly, vehicle body paint, during 2 months.